The automobile industry is one of the early industry that applied machine vision technology. It has high requirements for automobile production in parts manufacturing and assembly. As a high-tech industry, it requires a variety of advanced automation technologies to ensure efficient production. At present, many sections of automobile manufacturing have been operating by automatic machine equipment, which is free from manual operation. But in order to ensure the correctness and qualification of each assembled part, a reliable detection technology is needed. Machine vision is currently a high recognition technology in industrial production, with its unique application advantages, it can be widely used in the automotive industry. The practical application of machine vision in the automotive industry mainly has the following major parts. Intelligent transportation, license plate recognition. The system detection accuracy is 0.2mm, and the detection speed is 30 PCS/Min. The system automatically switches 38 product programs according to foreign signals. Words right and wrong, position detection. Functional testing while performing image inspection. The system is stable and the detection ensures a zero false positive rate. A camera moves while taking pictures. 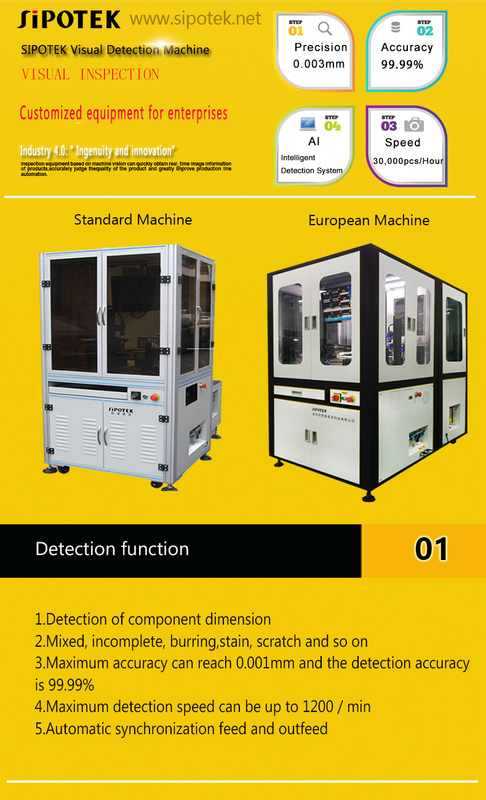 The application of machine vision inspection technology in the automotive field mainly plays the role of defective detection, dimensional measurement, visual guidance and positioning, etc. It has great significance for improving the overall quality and improving efficiency of the automobile, and has an indispensable key technology for the automotive industry.